One of the trickiest and sometimes most challenging things to deal with, is to decide on the correct pricing strategies for a new product you’re about to start selling. So today, let’s talk about a 3 simple pricing strategies for a new product. 1. If you’re going to start somewhere, start at the top. First… always remember it’s a LOT easier to lower prices, than it is to raise them. So if you’re going to make a pricing mistake… make it by erring on the high side, not the low side. A great way of testing pricing — one that’s literally never failed… is to seek out other, similar goods and services in the marketplace, and see what they cost. Then, put your pricing higher… and justify it based on your USP (Unique Selling Proposition). In other words, if there’s something that makes you different — and therefore BETTER than your competition… let people know about it. For example, maybe what you do allows your buyers to accomplish something in half the time. Maybe you’re able to deliver the same results, only with 75% less effort. Or, maybe your ability to protect something is iron-clad… where others never even come close to this. The point is, any of these things makes you different. And when you’re different, and you can explain why this differential makes you better… you can easily justify higher prices. 3. Leverage something everyone else has, but no one is talking about. 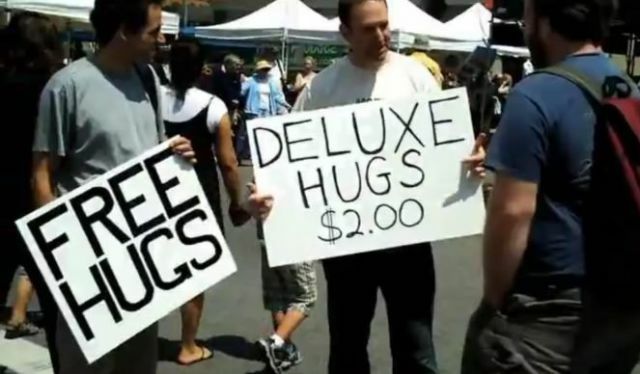 This is a great pricing strategy for a new product or service — and actually… for ANY product or service. As an example… with a consumer product I’m working on right now, one of the MANY things we’re doing to charge top-dollar, is to explain just how intricate some of the components of the product are. And for this particular product, while there are a few other competitors… NONE of them are doing this, at all. So let’s say you’re selling a bicycle frame made out of a certain type of compound. And then showing (again, in detail, by telling your story) how this benefits the rider, in terms of safety, durability, and speed… this is a great way of leveraging something important no one else is talking about — even though these benefits may already exist in the marketplace. Keep in mind though, you have to do this in plain and simple English — especially when you’re talking about topics that are complicated. Don’t confuse this with “assuming your buyers are stupid.” Because that’s only going to make you look incredibly arrogant. You need to keep in mind, just because people may be intelligent or experts in one area… doesn’t mean they understand biology or chemistry, at the cellular or micro levels. So, explain it to them in layman’s terms. Not only does this allow you to charge more, and not only are these good pricing strategies for NEW products… doing these things effectively allows you to create such compelling reasons about WHY people paid more… your customers and clients will wind up passing these stories along to others, as well. One more thing — with the exception of the one consumer product item I discussed… most of what we just talked about, is based on my personal experience primarily with professional services, consulting, and publishing (information products) — with my own practice, and in working with over 300 clients in more than 97 industries. However, I’d comfortably apply these same pricing strategies for a new product, to all kinds products (both new and existing), as well.